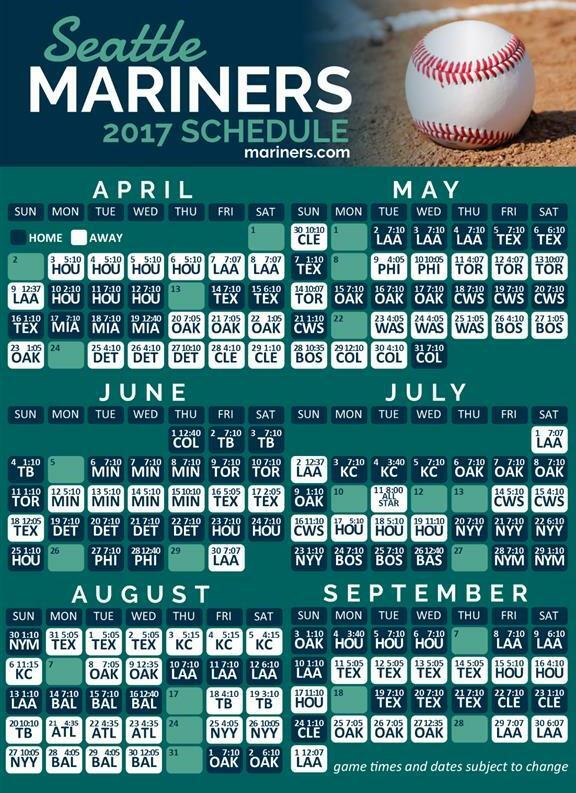 It’s Mariner’s baseball time! Check out the schedule below. Go M’s!